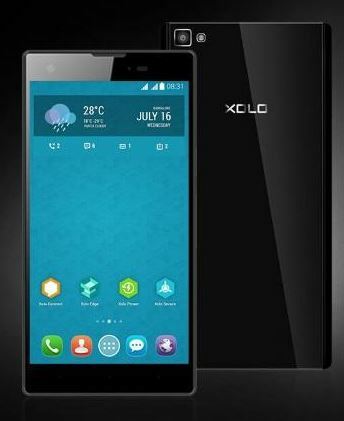 Xolo is releasing phone after phone having quad core processors with devices like the Xolo 8X-1000 and 8X-1200 released recently and the new device Xolo 8X-1100 which runs on 1.7 GHz Octa Core processor. It runs on Android Kitkat 4.4 and the impressions of its Hive interface cannot be seen in this device. Xolo is marketing the 8X series which already has the 8X-1000 and 8X-1200 is being marketed as Gaming smartphones because of the quad core and octa core processors which are being offered. These series come with Xolo Play Zone pre installed which is a store for downloading, installing or purchasing games to play. Xolo 8X-1100 comes with a 5-inch IPS LCD displat which has 1080p Full HD display resolution and the display is covered by Gorilla Glass 3 to help protect it. It has a 1.7 GHz MT6592 Octa core processor which is assisted with Mali 450 MP4 GPU which clocks 700 MHz. All this is supported by a 3GB RAM and 16 GB of internal memory which can be be expanded with the help of microSD card upto 32GB. It also sports a decent camera with 13MP rear Camera and a 5MP front camera. The rear camera has a high sensitivity Sony Exmor RS Sensor and faster Auto focus along with closed loop function, you can record 1080p or full HD videos with the rear camera. The front 5MP camera also comes with a wide angle lens and BSI Sensor which will help is taking better and wide angle selfies to accomidate group selfies. The device has good speakers to help enjoy music with dual DTS surround Sound supporting speakers. The device runs on 2100 mAh batter which is quite normal for devices with such features. It also has 3G, 2G, Wifi and Bluetooth 4.0 support. It is a dual SIM device having an option of (3G+2G). The device is being priced at Rs. 14,999 and comes with Android Kitkat 4.4 out of the box without any addition of the Xolo Hive skin features. the competitors of the device are Gionee GPad G5 which comes at the same price range and similar features so you can consider Xolo or Gionee with similar features.